Don’t‘ miss the Whale Extravaganza. 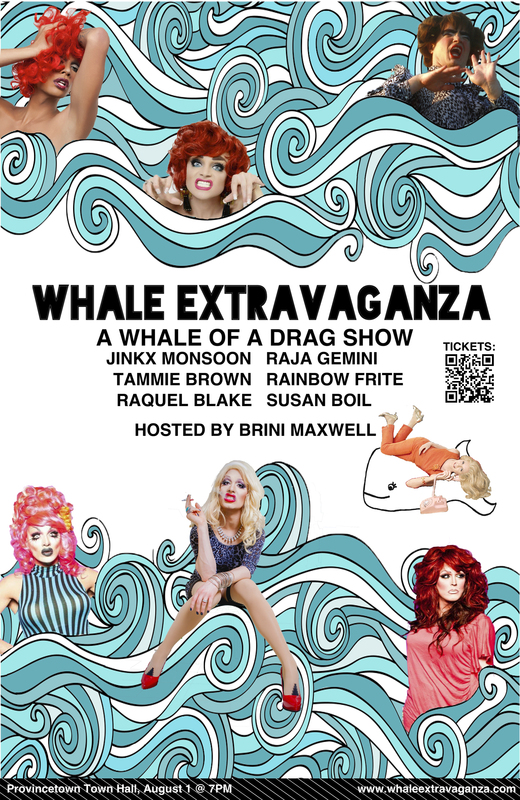 Whale Extravaganza is a charity drag show featuring RuPaul’s Drag Race alumni Raja Gemini, Tammie Brown, and Jinkx Monsoon, as well as local favorites Rainbow Frite and Raquel Blake, Provincetown’s own Susan Boil, and Brini Maxwell of Style Network’s The Brini Maxwell Show as host. 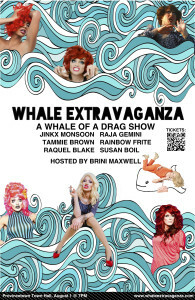 The event will take place on August 1st, 2013 at Provincetown Town Hall during “Whale Week: A Celebration of the Sea” and will benefit the Provincetown Center for Coastal Studies and the whale conservation efforts of the World Wildlife Fund. Tickets start from $25 (see www.whaleextravaganza.com for more infos ). There will be silent auction items available and additional donations will be accepted at the event as well. There will be a large wine selection from a variety of vineyards including Truro Vineyards which currently has two whale-themed wines that they have created specifically for the benefit of the Provincetown Center for Coastal Studies. Provincetown is a welcoming destination for the world’s gay and lesbian community, where they meet up and celebrate. The town has received a number of honors and prizes for its tolerance and its (social?) service to gays and lesbians. Here more than anywhere, no matter the color of your skin or your sexual orientation, you are welcome as if it was your home! Each person wears an incredible smile, in line with the liberty of love and just being. 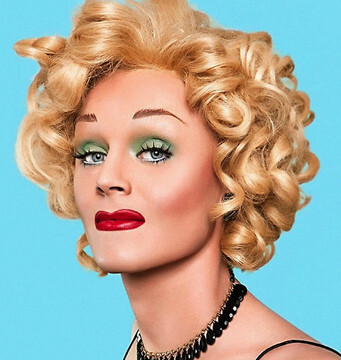 Here are some links that will help you know more about LGBT events in Provincetown. Independence Week 2013. World-class DJs , and parties make this the most popular July 4th destination on the circuit. Summer Camp/Circuit Week. A boat cruise, world-class DJs , and parties make this the most popular July 4th destination on the circuit. July Fourth parade and fireworks,www.provincetowntourismoffice.org. Nearly 100,000 people come for the parade and the fireworks show off of MacMillan Wharf. Bear Week. Massive bear-fest that draws men from all over the world. Secret Garden Tour. One of the highlights of the summer: the amazing gardens of Provincetown. July 15 David Flower’s Bear Boat Sunset Cruise. Whale Week. Week-long schedule of family-friendly events featuring a marine theme. Girl Splash. The destination summer event for lesbians. Pool party, clam bakes, dune tours, and white hot dances … come play at the beach! Homemade boat race. Benefit for the Provincetown Center for Coastal Studies produced by Venture Athletics Kayak Shop. Prizes awarded based on ingenuity, aesthetics, costumes, and winning the race. Family Pride Week. A chance for children to meet other children with GLBT parents and for parents to meet other parents and share experiences. A parade and plenty of activities for all ages. Camp Lightbulb. A week-long summer camp for GLBT young people aged 16-18. Carnival Week celebrates it’s 35th birthday!!! A week-long celebration of the 2013 theme “Viva Las Vegas” that transforms Provincetown into one big party. Boat cruise, inn stroll, music, special events, and of course, the famous carnival parade on the 22nd that attracts over 65,000 viewers and marches the length of Commercial Street. Floats, dancers, and performers all show off what this year’s theme means to them! Provincetown Jazz Festival. Experience and enjoy some of the hottest jazz on the east coast! The Afterglow Festival. 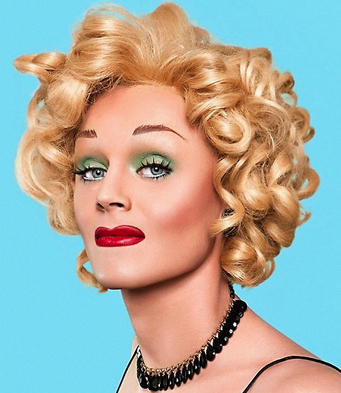 Provincetown’s Live Performance Arts Festival: A full week of musical acts and narrative works by internationally renowned and emerging artists who are evolving the world of live performance today. September 21 – 22 Kate Clinton Classic Women’s Flag Football Tournament.National & International Teams compete in 8 on 8, semi-contact flag football. Tennessee Williams Theater Festival. Celebrating Tennessee Williams’ legacy with innovative, world-class productions with music performed all over town. Mates Leather Weekend. Leather/fetish community events and music with a portion of proceeds benefitting the AIDS support group. PAAM gala. An elegant benefit for PAAM’s curatorial projects. Townwide Yard Sale. Bargains and fun as shopkeepers’ wares spill out onto the sidewalk. Women’s Week. A week of events, shows, exhibits and fun all geared toward women. Fantasia Fair. The longest-running annual event in the transgender world with shows, workshops, and food. Halloween. The PBG 50/50 raffle, haunted houses, cemetery walking tours, food, and more. Be prepared to be scared! Ghost Town. Visit this haunted attraction for a spine-tingling scare! Men’s Weekend. Food, dancing, and fun for all men regardless of relationship status. Lighting of the Pilgrim Monument. Ceremony on High Pole Hill: music, luminaries, and more. Thanksgiving Weekend. Celebrate the holiday where the Pilgrims landed and give thanks! PBG Casino Night. Blackjack, poker, roulette … we have the casino game for you! Lighting of Lobster Pot Tree. At Lopes Square. ‘Tis The Season For Giving benefit. A gala evening of performances and give-aways for the AIDS support group @ the Crown. Holly Folly. A Gay and Lesbian Holiday Festival with a shop hop, trolley service, concerts and sing-alongs, the Boston Gay Men’s Chorus concert and an inn stroll. Not to be missed! Souper Saturday. Soup Kitchen of Provincetown benefit. Soups are donated by local restaurants to raise funds for this important community organization. David Asher Senior Dinner. A PBG sponsored benefit dinner in rememberance of David Asher for our local senior citizens, at the VFW. Holiday open house at the Center for Coastal Studies. Learn about research, education, and disentanglement programs. New Year’s Eve. Start the New Year in your favorite place- Provincetown!